Apps have become an integral part of marketing in branding the products in the current digital age. 80% of time spent on mobile devices is basically spent using apps. Perhaps this is 2x times more than users using the laptop or desktop applications. This is why mobile apps are so important in today’s business environment. 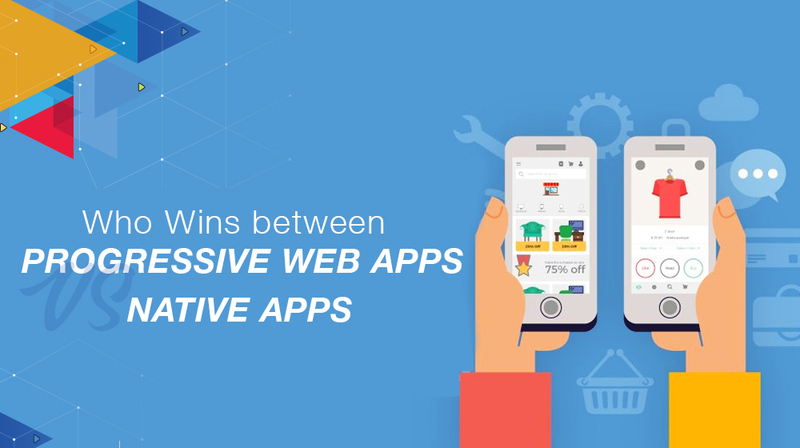 In fact, the website owner should feel even happier because this number is going to boom in the upcoming year with the entry of Progressive web apps. 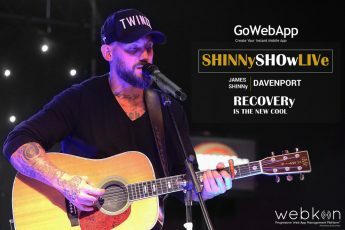 Prior to the progressive web apps, there are native apps, which users can download from an app store and add to the home screen of the mobile devices. In the turbulent economy where everything is fast-paced, it is impossible to find a company that had never thought of designing a mobile app, it is even more difficult to find a company that is willing to deny to use the app to brand their products. Apps have a tremendous impact in gaining the attention of the customer and to create brand awareness of the product. Yet some brands are still hesitating to embrace the technology due to the cost factor. Because of this reason, many companies especially the small scale industries are staying out of the app game. However, here comes the good news, the new innovation that will make your lives easier and more affordable. It is none other than the Progressive Web Apps. What is Progressive Web Apps? 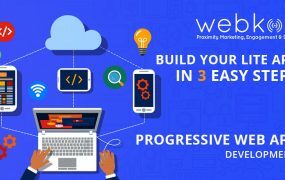 Progressive Web Apps are web applications that use modern web capabilities to deliver an app like experience which is very much similar to traditional applications or native mobile applications. You should have come across “add to home screen” banners when you are playing a game or surfing on the internet. When you do so by accepting the request, the application gets installed in the background. You will realize that this application is already in the app store without even having the necessity to search for it in the app store or download from the web application. Getting the app has become an easy piece of cake these days after Progressive web apps made things possible. It makes web app experience faster and more reliable even in the uncertain network conditions that don’t have support. 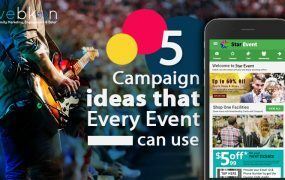 Same coding structure that is suitable for all platforms – Cost effective option, not expensive unlike a native app, easy to build and maintain. PWA doesn’t require any piece of installation nor download. In addition, it provides an instant update for all users without app store approval. Still an upsurging technology, most of the browsers don’t support fully yet. Limited support for hardware components. Many of the functionalities are not supported. PWA doesn’t support cross-application logins. In the past, when we wanted to develop the web pages we used HTML Server which serves static content to the client. In the next stage, Server generated content and served content to a static client using PHP and JSP, then Server generated content and served content to a static client (i.e. Dynamic behavior added on the client) and later static content served to hybrid app (i.e. Android, iOS). However, there are many challenges faced by the users from different application although, the technology progressed. It starts with the user native experience, not a real-time, not possible for off-line capabilities, low responsive, unable to perform during low internet speed, multi-server request, absence of caching and many more. 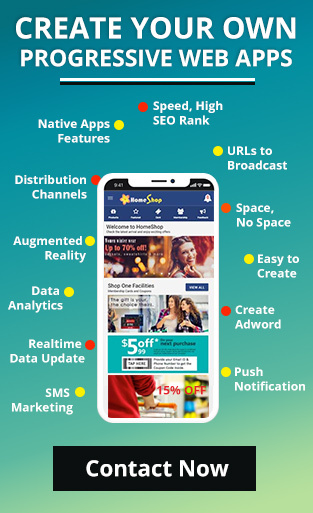 To overcome these hurdles, the biggest innovation was required and this led to the development of Progressive Web Apps (PWA) which brought mobile-like experience to the users without requiring them to install an app neither from the app store nor play store. Although, this is not new technology, and this is just a different framework or approach to make a web application works similar to mobile or desktop application. 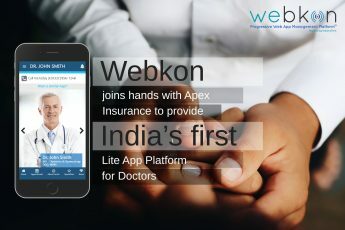 To make the web site better, have enhanced search result experience, improve faster mobile load and to have a lightweight front-end platform as well as provide a native app-like experience, the progressive web apps (PWA) helped to accomplish it. Web App Manifest: The Manifest for Web applications is a simple JSON file and it enables your web app to have a more native-like presence on the user’s home screen. The JSON file enables the app to be propelled in the full-screen form in the absence of the URL bar. In addition, it tells the browser about your web application and how it should behave when installing on the user device or desktop. A manifest file includes information like the app name, icon and it should use the “start URL” when launched. Service Workers for offline caching: Service Workers that are now available in Chrome, Firefox and other applications help you craft an offline experience that makes the progressive web app shine among the other mobile apps. The service worker API comes with a cache interface that has the potential to create a store of response which can be accessed anywhere on your scripts. Push Notifications for User Engagement: In the past, when marketing or finance department wants to communicate with each other, they used either SMS or Emails. This is one of the most commonly used strategies for a long time. This Push notification allows users to opt-in for any frequent updates from websites, then the user just needs to enable “one-click subscription” or “Notify when available” option to enable this feature. Once the user enables this option, the user will receive the notification in the form of email, text or popup on a frequent basis. Apparently, this functionality improves a high-click rate for the website, improves cross-platform delivery besides composing messages at a faster rate with real-time experience. For ex: If the user enables push notification from livescore.com website, he/she will get the notification whenever the matches are played and scored in real time update. This feature requires both service worker and a Web App manifest or developer features summarized earlier. Served over HTTPS: The web application must be served over a secure network to ensure that the PWA work effectively. Using the services like Cloudflare and LetsEncrypt, it’s easy to get an SSL certificate. Once the website is developed using SSL modules, it enhances the security of the website. This is not only a best practice yet establishes your webpage application as a trusted website for customers demonstrating trust and reliability and avoiding any intermediate person to attack the website. A native mobile app is a smartphone application that is developed to use on a particular platform like the Object C for IOS or Java for Android Operating System. Since this app is designed platform specific, they can interact and take advantage of the operating system features that are installed on that platform. There are many benefits to developing native apps. When you want to wow customers and fully leverage the capabilities of mobile devices, mobile apps have no match. They use the features present on the devices like the camera, GPS, Bluetooth, and contact list. Maintain aspect ratio of the image in full width– Aspect ratio is defined as the proportional relationship of the width to the height of an image or screen. Perhaps, an important factor that determines the quality of the image. The major failure among most apps is when they fail to achieve this aspect. However, the native app has better control over the resolution of the image. Expensive- The programming used in native apps are quite tricky and complex and the programmers who have the potential of doing effective coding are at high demand. In addition, since it requires platform-specific coding, it requires plenty of time. Overall it is an expensive affair both in terms of cost and time. When do you need to build a progressive web app? It is mainly about user real-time engagement; some customers want to engage the user on daily basis and even hourly/minute basis by sending a push notification (for ex: for watching their favorite show or sport, they are in need of an update frequently). With progress web app the organization can engage the large user group, the single code base for cross platforms like Android, IOS etc. One of the major benefits is, it can save a huge amount of money spending on native apps updates and maintenance. Today, most of the customers are using mobile phones with 3rd or 4th Generation internet connection speed, they are likely to prefer websites and apps using fewer data and which does not occupy the mobile storage. These aspects are well met with Progressive Web App. Why do we need a Progressive Web App? 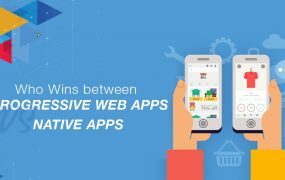 Before deciding which app wins the competition and why do we need that app, in the first place you should know some of the challenges we are facing today with native and web apps. Bandwidth: With the advancement of technology, internet speed have increased tremendously and people are marching towards 5G internet. However, statistical report conveys that nearly 60% of the world’s population is still using 2G internet. A surprising fact is, in some parts of the US, people still use a dialup connection to access the internet. Poor loading of the site: When the connection is not healthy, it takes significant time to open and load the site. In some cases, it is even worse, just to press the close button it approximately takes about 3 seconds when the site is slow. In many instances, users get frustrated with the performance and abandon a website if it is too slow. User engagement: It is a well-known fact that most users spend the majority of their time in native apps but in recent ages, mobile apps have surpassed the native apps. In fact, a marketing study shows that mobile web reach is 3x timed than the native apps. This implies that though there are popular native apps still most users are not using it. 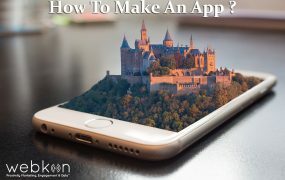 If you have plans to build a new app, then try to enhance the features that lack in either form and make a flawless app that has complete features. Otherwise, if you want to use an existing app, going for the PWA is a no-brainer in most cases. Ideally, PWA is going to rule among the next billion users which has the capability of running like a native app however in their own window and without a browsing bar.